When you hear statistics like 1 in 3000, or words like “extremely rare,” you think it will never happen to you or your family. However, when you’ve gone through something like premature birth or a NICU stay, you find out that “rare” isn’t always as rare as you think. Before I had my twins at 25 weeks, I had never met another premature baby or even known what the inside of a NICU would be like. Things like TTTS, SIUGR, PDA, ROP, gestational age, and ventilator really meant nothing to me. I didn’t know what a difficult, life-changing experience it would be. I also didn’t realize just how many people were experiencing the same things. Because of that experience, and the realization that so many people go through it, Micro Preemie Mondays were born. While it is not an experience I would wish on anyone, being able to share it with others brings hope and comfort. It also helps educate and bring awareness. Today, I want to bring awareness to something else very important. One of our Micro Preemies, Nova, recently found out she has a rare condition. Her mom contacted me, and asked if I could do a follow-up, in order to bring awareness to this syndrome. I was so touched and honored that she contacted me. I wanted to share her story right away. Please learn about Nova’s new battle, as told by her mom, Rebecca. You can also read Nova’s original Micro Preemie story HERE. Tell us again briefly about Nova’s premature birth. 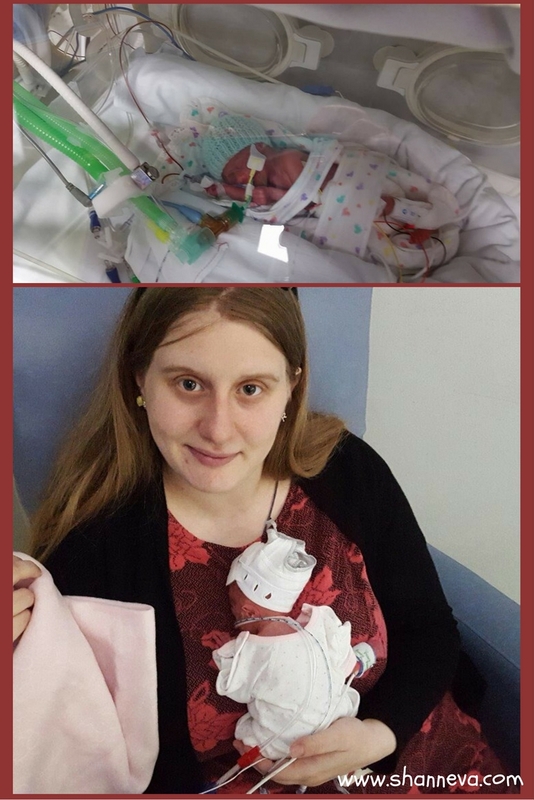 Nova was born at 29+2 weeks gestation, but weighed just 1 lb 12 oz (800g) due to a condition called pre-eclampsia. She had a NICU stay of 69 days. How old is Nova right now? Nova just turned 1 on the 21st of August! She now weighs about 17 lbs, which is still tiny for her actual age. However, when you consider her original weight, I think she has done fantastic! What signs did you first see which made you think something was wrong? The first sign we knew something was wrong was when Nova turned from a happy, smiley, giggly baby into an irritable, crying, grumpy one over night. It was a complete personality change. All the healthcare professionals and our families put it down to teething at the time. The second thing we noticed a bit after this, was her eyes were no longer focusing on anything. She would not respond to our faces, or even our voices any more. She would lie down almost lifeless and do nothing all day but stare into space. When we took Nova to her General Practitioner, we were told not to be concerned as her eyes were working (they performed an eye test). The health visitor gave the exact same response, despite our concerns. The third thing we noticed after this, was that she was having what we now know are seizures. At the time, we had no idea what was going on. She would curl up into a ball and cry out in pain. We took her to the GP again and explained what was happening, but they told us it was a sign of her re-flux and to just increase her medication. In the end, it took a trip to A&E (Accident and Emergency,) 2 months after our initial concerns before she was finally diagnosed with her current condition. That was after we went in for something completely unrelated. Without the A&E trip, the likelihood is she still would not be diagnosed. Nova has been diagnosed with a form of epilepsy called West Syndrome (or Infantile spasms). Only 1 in around 3000 infants develop it each year in the UK. The outlook for Nova is still very much unknown, as the spectrum is massive. She could be anywhere from perfectly fine to severely disabled, or anywhere in between. There are so many factors that can affect the prognosis, and the main one is the cause of the epilepsy. At the moment, they have not found the cause for Nova’s epilepsy (which we have been told is the best outcome), although they did seem concerned when I mentioned Nova had a grade 1 brain bleed at birth. There is a high chance that a different form of epilepsy could present itself further along in Nova’s life, which is something we will always be on the look out for. Please tell us about the causes and Nova’s treatment. In some cases (usually where most the success stories are) no cause has ever been found! Nova has recently completed 2 courses of a high dose steroid called ACTH, 2 courses of Prednisolone, and is currently on Vigabatrin until the foreseeable future to control the seizures. Thankfully, we have seen no seizures since, and we have our happy, smiley girl back. Nova has been under very careful observation by the hospital for the last 2 months. We had nurses visiting almost daily whilst she was on the steroids. They have recently discharged her from the nurse visits, which has been a welcome result. It’s good to finally get back to some form of normalcy! She still has regular follow ups at the hospital with her neurology consultant, and will for a while. 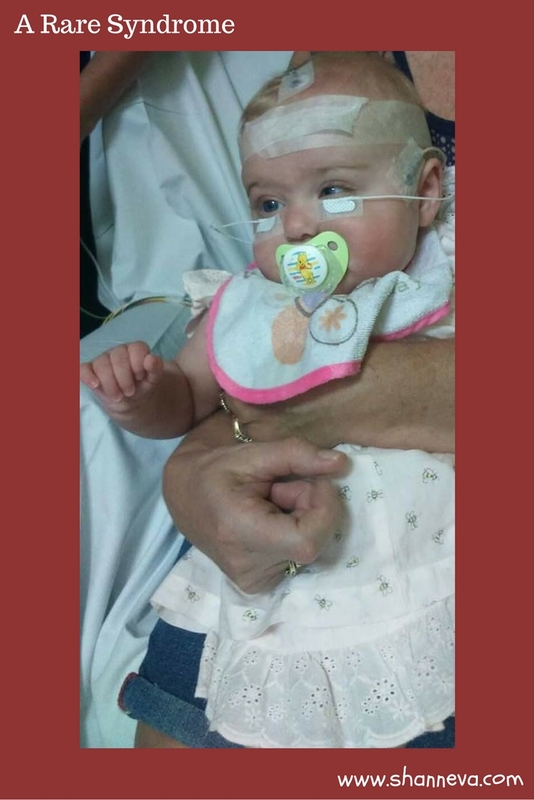 Due to the West Syndrome, she is currently only 4 months old developmentally. She is Cortically Visually impaired, and her hearing does not seem to be as good as it once was. She is about to start physiotherapy to try to help her catch up. Nova has been referred to the early support team for our local area. Her neurology consultant seems hopeful her vision and hearing will return, and that she will go on to develop as normal as long as her epilepsy is under control, but a lot still hinges on the genetic testing she has had done. We will hear the results of this in September, so fingers crossed! 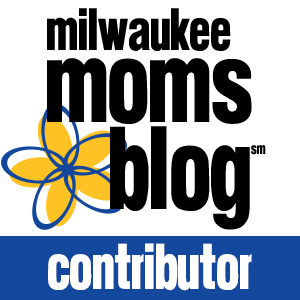 What can other families look for in order to get a correct diagnosis? One of the biggest signs of West Syndrome is developmental regression. 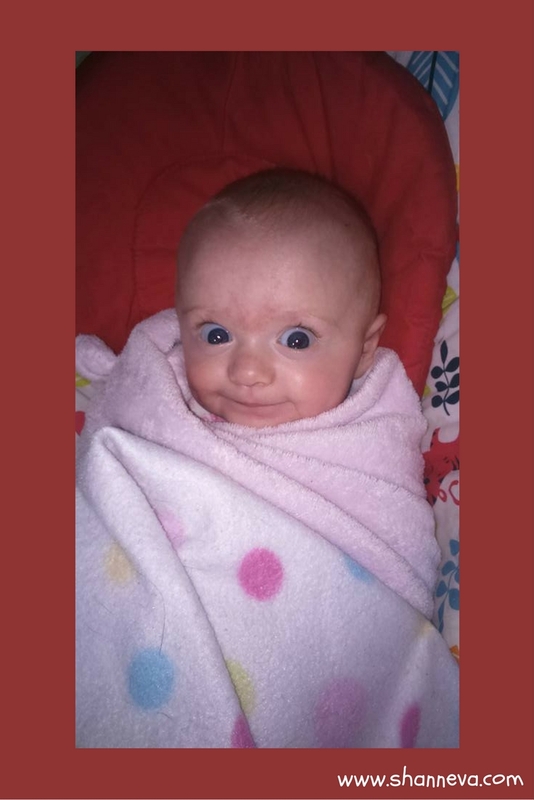 Nova was developing perfectly normal for her adjusted age, and was on the verge of sitting up before she started having seizures. Now, she has only just started rolling over again and has lost a lot of her head control. She can barely sit up with support! One thing I would like to stress to anyone reading this is don’t always take your general practitioner’s word as gospel. If you think something is wrong, keep pushing the issue. As good as they might be (and Nova’s GPs have been fantastic with her since she was discharged) they are not the experts in every medical condition going. My biggest regret is not pushing harder for Nova, and this is a guilt that can never go away. West syndrome is something that is treated and managed much better if diagnosed early. Unfortunately for Nova, it was 2 months before she was diagnosed. By that time, her vision and hearing had gone. Had it been treated earlier, it could have been a very different story. Even though West Syndrome is rare, it is a very serious condition. Early detection is key to helping get the best outcomes. With a rare condition like West Syndrome, the best tools we have are education and awareness. If you notice developmental regression, as Rebecca pointed out, please talk to your doctor. 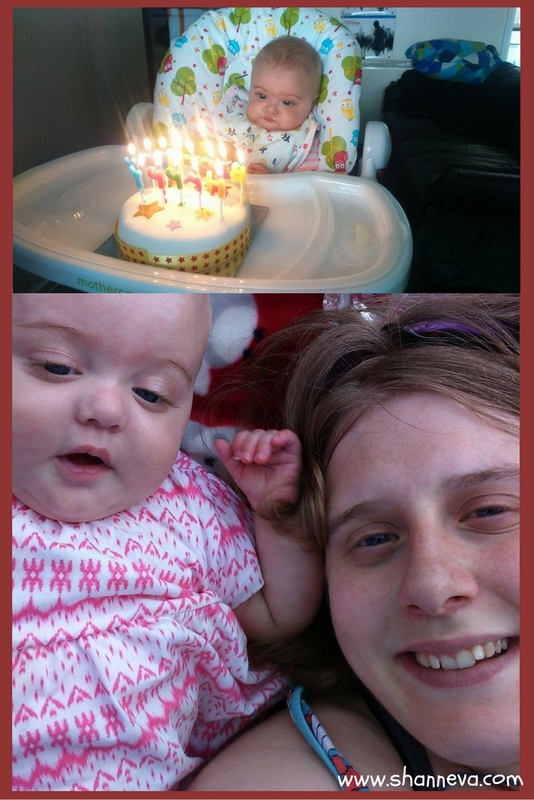 Thank you so much to Rebecca for sharing Nova’s fight with West Syndrome. 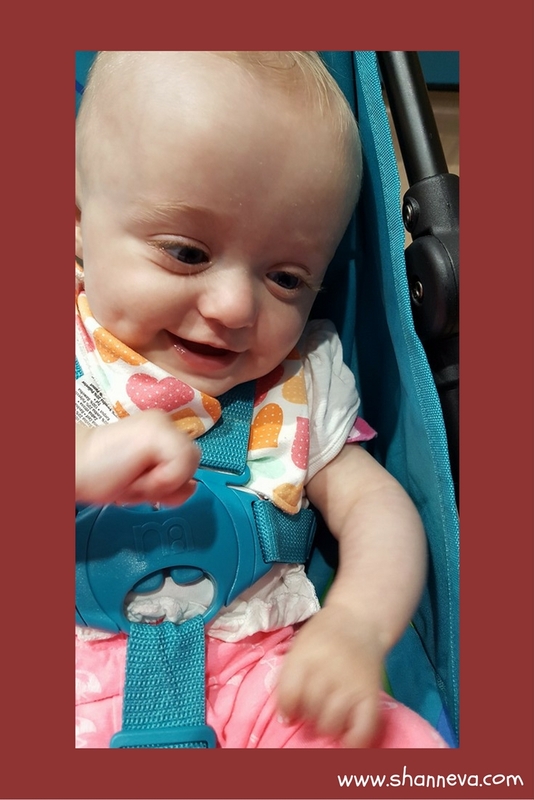 By sharing her story and fight with this rare syndrome, it is both Rebecca’s and my goal to help babies that are struggling get the right diagnosis as early as possible. I will definitely be giving you an update on Nova as she continues to fight. Please leave any supportive comments for Nova and her family below. That is so hard! I feel for this family and I hope that she ends up being completely fine! What a beautiful little girl! So glad the family has some answers! Thank you for the information. It is so crazy that I put so much trust into what my doctors, pediatricians, etc. tell me and to be reminded that they make mistakes too and above all, that I need to trust my momma intuition. Nova is such a beautiful little girl! I pray that everything works out for her so she is not in pain! Keep fighting sweet girl! What a cutie!!! And thanks for the awareness!!! Must be tough to deal with but it’s great that you are telling others what to look out for! Wow! I’ve never heart of West Syndrome before. Thank you for sharing and spreading the word about it!